The development of this platform commenced in 2011 and was finalised in 2013. It was conceptualised and designed by Labour Relations and Human Resources professionals. Over the past 20 years, through consulting with thousands of employers, conducting disciplinary hearings and negotiating with Unions as well as representing employers at Dispute Resolution Forums, and in Court or Bargaining Councils, across different industries, a need was identified for employers to have immediate access to their personnel files, forms, employee records, and staff data without having to sift through tons of files in various filing cabinets. The frequency at which staff files, previous warnings or staff records would go missing was also an issue that needed to be addressed. It also became apparent that employees would move around within an industry going from employer to employer. Unsuspecting employers would employ unscrupulous employees without conducting thorough reference checks, on the basis that the employee would present a CV that was believable or that as they were still employed with their current employer, and as such they could not obtain a reference from the current employer. More often than not a dishonest or deviant employee will not disclose their true employment history to the prospective employer. And so the platform was created. 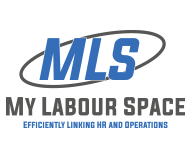 What is presented, is a user friendly, cost effective system that allows employers total control over their Human Resource Administration process and offers a solution to discourage deviant employees from jumping from employer to employer within an industry. Now you will have all your employee information at your fingertips, with the simple click of a mouse. The secure site is accessed using a unique login & password which provides access to the employers specific zone on the platform.